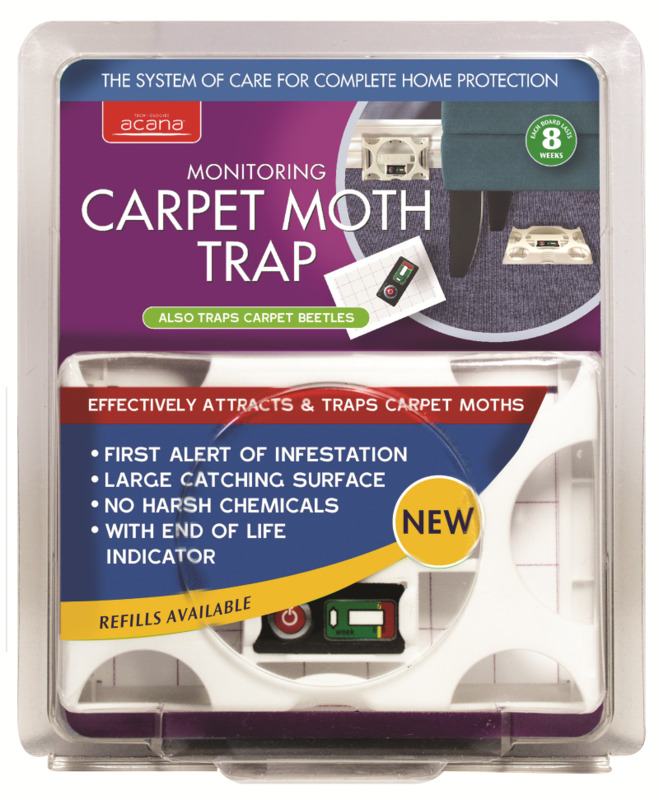 The Acana carpet moth trap & refill are the latest addition to the company’s system of care moth range. It has been developed specially to attract and trap carpet moths without the use of harsh chemicals, and has the added benefit of also trapping carpet beetles. The trap has been designed as a monitoring and control product, checking for any infestation as a first alert and it monitors the effectiveness of your Acana killer treatments. Used in conjunction with the Acana carpet & fabric moth killer & freshener, it offers instant and continuous action for carpets. The latest pheromone technology and adhesives attracts and then trap both carpet moths and carpet beetles. With a large 100sq cm sticky surface area, it aims to provide optimum emanation and trapping, says Acana.